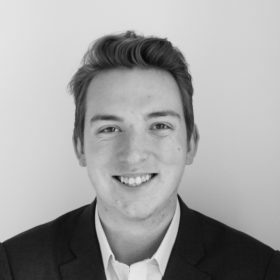 Tristan Hardy is an analyst at Hamilton Place Strategies, where he combines data analytics and strategic communications to assist a wide range of clients, on issues from higher education to European Affairs, to help them attain their policy objectives. Prior to joining HPS, Tristan was based in Brussels working as an intern for Open Europe, a European affairs think tank, where he conducted policy analysis on a variety of issues relevant to the European Union. Prior to that, Tristan interned for the Austrian Economic Center, a classical liberal think tank, where he acted as an on-site assistant for the “Free Market Roadshow” in 7 different countries. Additionally, Tristan interned at Hadrian Advisors, a predictive analytics firm, where he developed machine learning tools to help improve the proprietary algorithm as well as assisted with data cleansing operations. Tristan was born in Austin, Texas but spent 12 years in Paris, France and graduated from the University of Warwick in England, with a degree in Mathematics, Operational Research, Statistics, and Economics.